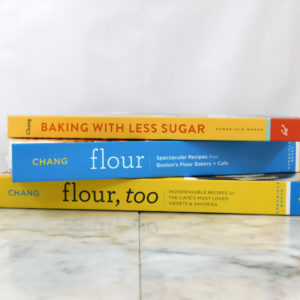 Award-winning and beloved chef Joanne Chang of Boston’s Flour bakery may be best known for her sticky buns, but that’s far from the limit of her talents. When Chang married acclaimed restaurateur Christopher Myers, she would make him Taiwanese food for dinner at home every night. The couple soon realized no one was serving food like this in Boston, in a cool but comfortable restaurant environment. Myers+Chang was born and has turned into one of Boston’s most popular restaurants, and will be celebrating its tenth anniversary in 2017, just in time for publication of this long-awaited cookbook. These recipes, all bursting with flavor, are meant to be shared, and anyone can make them at home—try Dan Dan Noodle Salad, Triple Pork Mushu Stir-fry, or Grilled Corn with Spicy Sriracha Butter. This is food people crave and will want to make again and again. Paired with the couple's favorite recipes, the photography perfectly captures the spirit of the restaurant, making this book a keepsake for devoted fans. Award-winning and beloved chef Joanne Chang of Boston’s Flour bakery may be best known for her sticky buns, but that’s far from the limit of her talents. When Chang married acclaimed restaurateur Christopher Myers, she would make him Taiwanese food for dinner at home every night. The couple soon realized no one was serving food like this in Boston, in a cool but comfortable restaurant environment. Myers+Chang was born and has turned into one of Boston’s most popular restaurants, and will be celebrating its tenth anniversary in 2017, just in time for publication of this long-awaited cookbook. These recipes, all bursting with flavor, are meant to be shared, and anyone can make them at home—try Dan Dan Noodle Salad, Triple Pork Mushu Stir-fry, or Grilled Corn with Spicy Sriracha Butter. This is food people crave and will want to make again and again. Paired with the couple’s favorite recipes, the photography perfectly captures the spirit of the restaurant, making this book a keepsake for devoted fans.